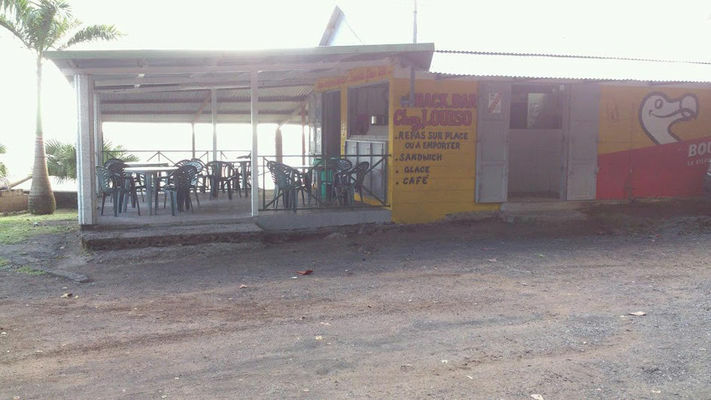 Located in Sainte-Rose, in the east of the island, the snackbar "chez Louiso" serves Creole cuisine. Meals to eat in or take away, sandwiches, ice-creams, coffees ...Opens from tuesday to sunday from 7 a.m. to 7 p.m. Environment / Access : From Roland Garros airport go to Saint-Benoît on the expressway, then head towards Sainte-Rose. Drive for approximately 18km (approximately 20 mins). When you reach Sainte-Rose, at the first roundabout, turn left towards "La Marine". Chez Louiso is at the end of the track next to the port.